After graduating college in 1991 with a photography degree he decided to change things up and pursue glassblowing as a full time profession. With some moderate success he gained clients that enjoyed his design skills and was asked to build a few custom interior pieces and furniture. These were an instant hit and after six months of fabricating his own designs he needed to expand and bought a building in Detroit Michigan and started his own company. The works started out small but eventually grew into larger pieces like banisters and eventually worked into him designing and fabricating bars, nightclubs, and restaurants. After honing his skills in Detroit and in Key West as a private interior designer he moved to New York to pursue a more artistic side of the furniture world. Besides his new designer pieces this is extremely evident in his “creature” series. 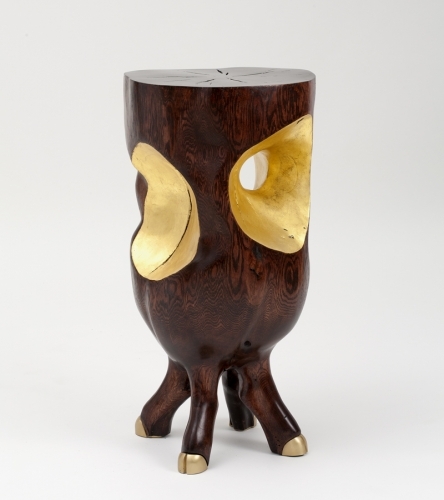 With the creatures there are no boundaries between classic furniture and contemporary. They are meant to be purely sculptural pieces of furniture. Appropriating ideas from the past and mixing it with the new, Sometimes whimsical but always very serious in quality and craftsmanship. 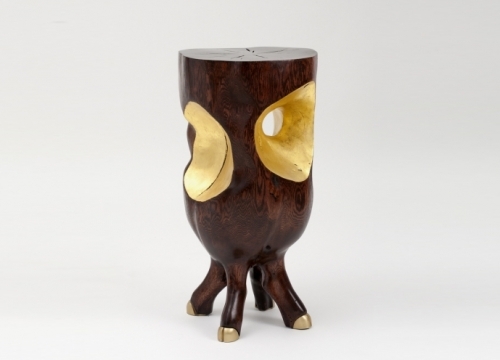 These pieces want to be elegant and primitive all at the same time. Trying to connect with man and nature. To find the beauty, mystery, hope, life and death that connects all of us. Lives and works in Brooklyn N.Y.